The Silver Creek Trail near Lake City, Colorado, leads to two of Colorado’s most beautiful 14,000’ peaks - Redcloud and Sunshine. The trail along the 12.25 mile round trip offers stunning views of the San Juans, as well as picturesque Colorado wildflowers in the lower elevations. 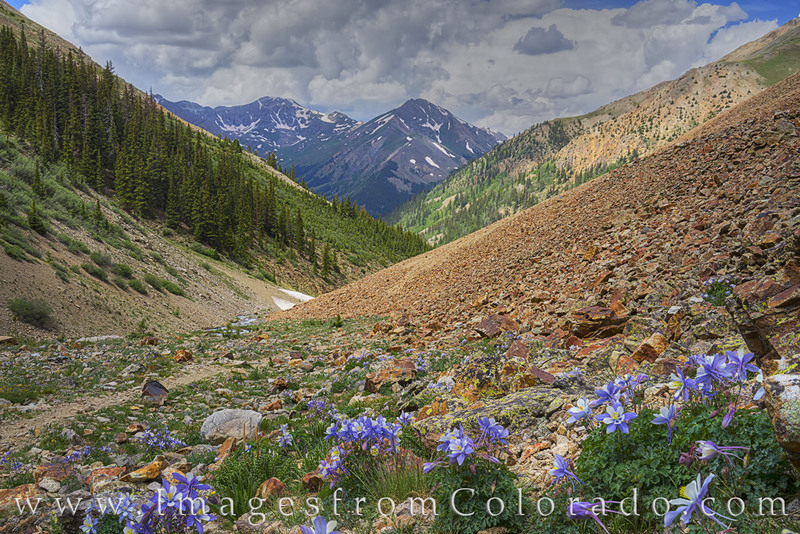 Here, the state flower - the Columbine - reach out from the rocky crags and add a splash of color to the red rocks and green forests. Photo © copyright by Rob Greebon.